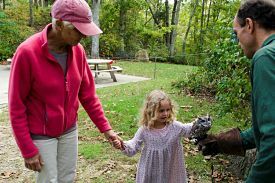 In 2013 the Lloyd Center for the Environment provided environmental education to more than 10,000 children, undertook the excellent and diverse research for which we are known, and opened our 82-acre nature center and exhibits to over 25,000 visitors. All of these important undertakings would not have been possible without the generous support of donors such as you. • The Clambake, which will continue to be our signature and fun-filled event – July 11, 2014 so Save the Date! • The Annual Fund Campaign, which will occur each fall. A strong and growing membership is essential to our continued ability to meet the environmental challenges we all face; your participation is critical. Please take a moment to renew your membership now and in doing so consider reaching an even higher level. Membership can be renewed by clicking here. Thank you in advance for your continued support.